"I can think of "A Million Reasons" to package Stop Hunger meals this year," Pam Carter said. "And, here's my personal reason: a girl I met six years ago in Haiti wasn't getting a midday meal. Now she and the other children who attend her school are served a daily meal because the school receives Stop Hunger Now shipments." "For every one of us there is a personal reason to do something about hunger," she said. "Let's find a million reasons this year!" 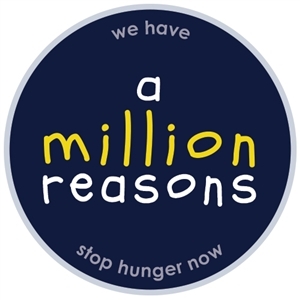 "A Million Reasons" - a yearlong Florida Conference mission to pack 1,000,000 meals to fight hunger - will be launched at Annual Conference in June with a Stop Hunger Now meal-packaging event. Click here for a video story from Pam Carter, Bishop Carter’s wife, about how meeting the million reasons goal will have positive impact on families worldwide. The goal during the AC event is to package 100,000 meals with volunteers on Wednesday and Thursday before the business sessions begin. “We invite our AC members, local church groups and our youth groups to help make "A Million Reasons" happen,” said Janet Kelley, East Central District Administrative Assistant. Over the course of Wednesday and Thursday, there will be 10 one-hour opportunities for attendees to participate in meal-packaging, Kelley added. Stop Hunger Now estimates that we can package 10,000 meals per hour if enough people sign up and lend a hand, she said. To register CLICK HERE for one of the 10 meal packaging shifts. These have been scheduled to fit around the various events at AC 2013. Shifts will be filled on a first-come, first-served basis. Organizers encourage volunteers to register early to get the time that best fits their schedules. Everyone can participate in Stop Hunger Now’s meal packaging process – there are roles that cater to every set of skills and circumstances, from children to seniors,” Kelley said. At the registration site, there is also an option to make a donation to the effort. Along with one-third of this year’s Annual Conference Offering, additional direct donations will help to support the 25 cents/meal cost. 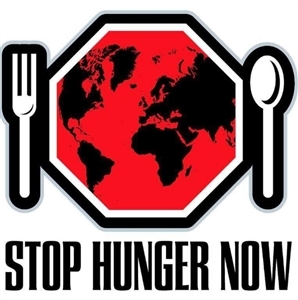 To learn more about STOP HUNGER NOW, please visit their website.